Isabel is in charge of coordinating the operations of most of Envoys’ programs around the world, making sure that each vendor will deliver beyond expectations in the field. She has been working in youth educational projects for over 10 years. 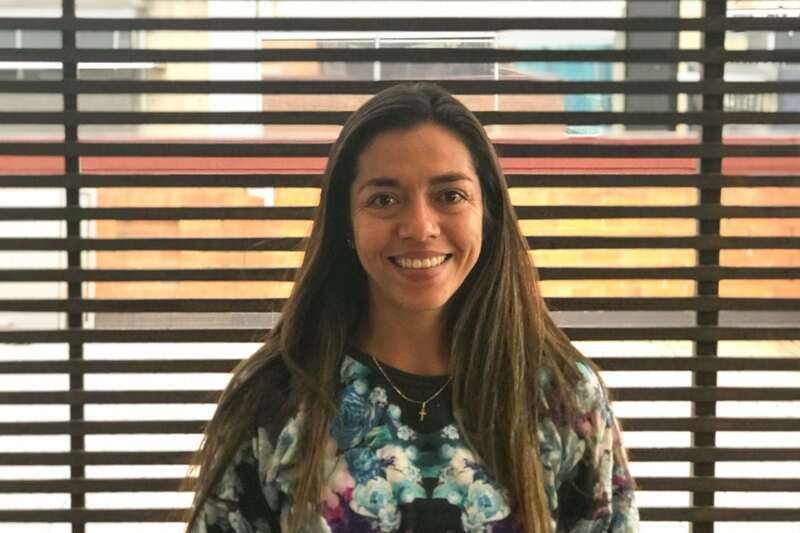 When she was still in high-school, she enrolled in a non-profit association that organizes summer camps for students from low-income families in Bogotá. She worked as a Staff member and Camp Director throughout her college years. Later on, she became a Staff member in Off Bound Adventures, Envoys’ partner organization in Colombia. She’s a graduate from Universidad de los Andes in Bogotá where she studied Business Administration and Design. Envoys has given her the opportunity to link her professional career with her passion for outdoor education. When she’s not working for Envoys, you will find her training at the studios. She’s a professional pole sports athlete who participates in national and international competitions. [Envoys] knows kids extremely well…they know how to be cool with them while still commanding authority and establishing ground rules…I was incredibly impressed with the protocols established and put in place by Envoys. With its emphasis on empathy and general intelligence in planning, Envoys has quickly emerged as a premier global program provider. They are well worth the attention of any of our schools. Having traveled with other education travel companies, I feel like Envoys offered a much more individualized and rich educational experience for a very comparable price. I didn’t feel like a “number” or just another client. I felt like the school and Envoys worked as a team. Envoys was at the top of their game from start to finish. What initially interested me was their focus on curriculum during pre-departure meetings and the program itself. Envoys cares deeply about the experience of the participants and faculty. [They] constantly ask for constructive criticism and make changes when necessary. I could not have been more satisfied with the performance of Envoys throughout the entire process of planning and executing this trip. All Envoys staff demonstrated the utmost professionalism and dedication, as well as knowledge and competence. I am so glad that [we] chose to partner with Envoys! We had an amazing program. It was a biology teacher’s dream and Felipe and his crew couldn’t have been more thorough and professional to work with. Thanks for all of your efforts to organize an unforgettable experience for us all. Many student groups participate in ‘voluntourism’. this trip did not attempt that, but rather funneled the collective energy of each member into meaningful, mutually beneficial cultural interactions…Thank you so much for this unforgettable and transformational experience. I don’t think it is possible to pull a trip like the Amazon and the many activities that you directed without the sense of purpose you have, without your drive for experiential learning for teenagers. All our experiences with the envoys team were amazing! It was not only the good times with our friends or the relationships we built but how we were after we came back, returning to this agitated society with a new view of ourselves and not just our impact on the world, but the world’s impact on us. The individuals we worked with, without exception, were all professional, courteous, patient, and greatly attentive to detail. As stated above, Envoys is flexible and works hard to make sure that if you have custom aspects to a trip that you want to add, they will work hard to make it happen for you. I can honestly say that this was the best 10 days of my entire life. I feel as though I have grown as a person, and that I have made lifelong connections. This experience changed my life, so thank you very much to the entire Envoys staff! Every single person working for Envoys is excellent and committed to the kids and their experience, not just during the trip, but before and after. We would recommend Envoys to anyone looking for a high quality and enriching summer experience. The Envoys staff has been amazing. I have bonded with each of them in different ways and they made the trip to Colombia nicer that I expected. Envoys helped me open myself up to interacting with the locals wherever we traveled! My goals were to learn about post-conflict Colombia and step out of my comfort zone. These were fulfilled each and every day through activities, reflections, and first-hand experience. I was incredibly impressed by the care taken by Envoys. Before we even hit the ground, there was an emphasis on comprehending impact on our destination’s environment that I appreciated..Throughout the trip, our Envoys leaders made sure that we continued to be conscious of impact. That awareness of cause and effect is something that often gets lost when traveling, and Envoys did not allow it to. During this trip, there was never a moment I did not feel safe and cared for nor a moment where I did not feel I was learning something! It wasn’t just a touring trip; it was designed to create meaningful educational experiences through visiting important sites but also through human interaction and collaboration. The staff were exceedingly caring and friendly and made strong connections with out students. Their office staff communication with parents of travelers was also very sensitive, timely, and helpful. The Envoys staff were very open about sharing their first-hand experiences, which was a game-changed in terms of learning about post-apartheid South Africa. Also, having everything planned to the T made me feel very safe. I knew that I was in good hands. The Envoys Staff were exceptionally committed to us and to the goals of our trip. They were thoughtful, kind, caring, friendly, with great sense of humor, yet serious in their connection to the ethos of professional development that was our trip’s purpose. I was struck over and over again by how they literally RAN to be in the right place to respond to any given situation.